Bonnie Radow Designs offers heirloom-quality silver necklaces, bracelets, earrings and rings distinguished by artifacts from around the world. 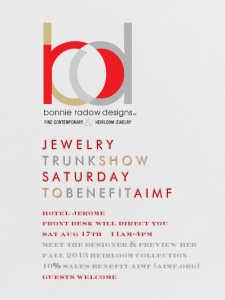 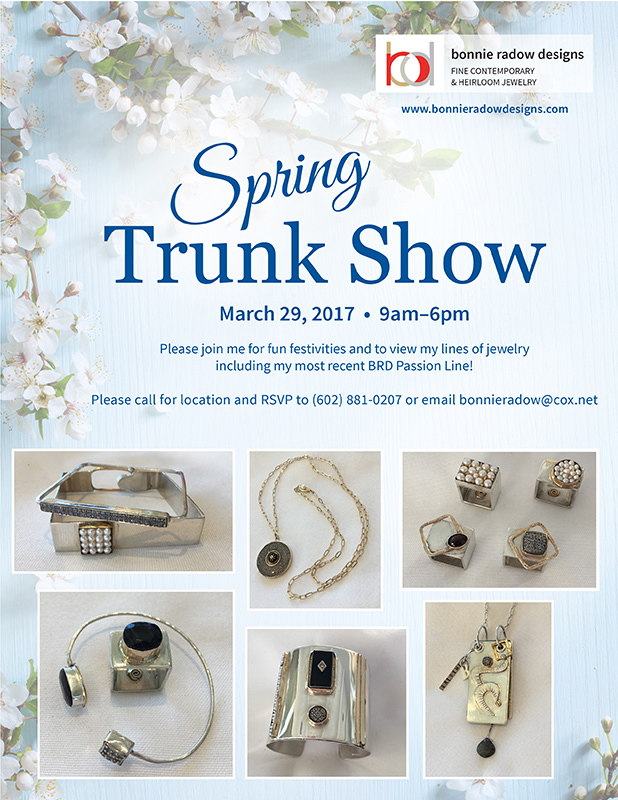 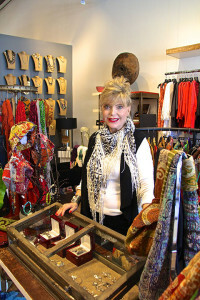 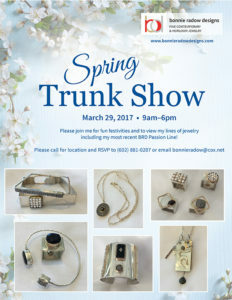 If you would like to be informed of when a future Trunk Show is taking place, please contact Bonnie and let her know you’d like to be added to the mailing list. 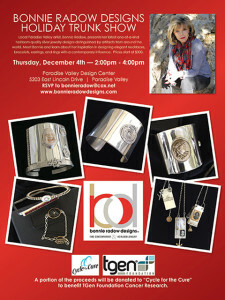 Presenting the Passion Collection as well as Bonnie’s other lines. 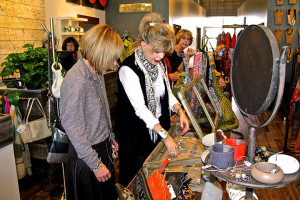 A portion of the proceeds was donated to Cycle for the Cure to benefit TGen Foundation Cancer Research.